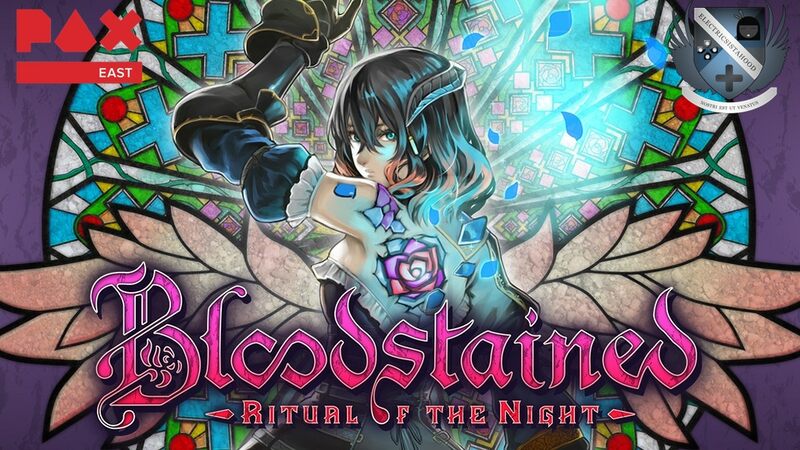 HomeEventsPAX EAST 2019 | "Bloodstained: Ritual of the Night"
When Koji Igarashi, the man who breathed the true essence of Castlevania into the franchise, wants to make a Metroidvania adventure, you best damn well let him. No longer held back by the chains of Konami, Igarashi went to Kickstarter to pitch to the world a new success successor to the popular series. And the world responded by throwing a whopping $5.5 million towards its development! After playing the demo of Bloodstained: Ritual of the Night at PAX East, I can safely say that the money has been well-spent. 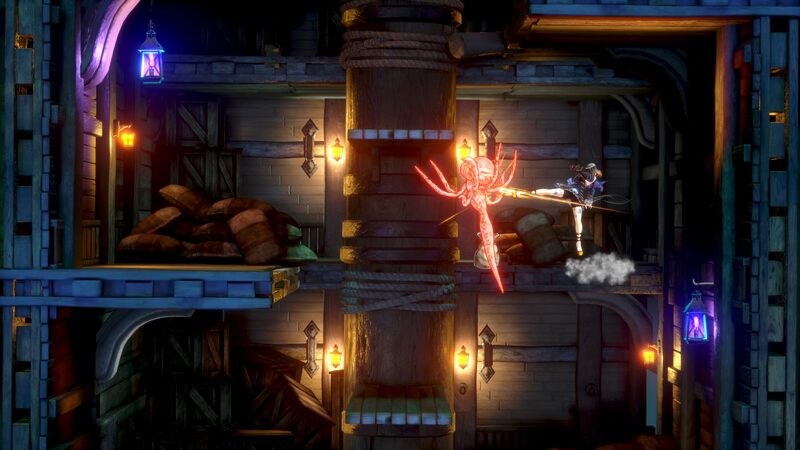 What I appreciated most about Bloodstained is that it's not out to reinvent the wheel; the spheres that the Metroidvania genre roll on have been perfectly fine as is. The big draw of the game is its atmosphere and spirit. Developed by ArtPlay, DICO, and WayForward Technologies, Miriam's dark journey is filled with beautiful macabre meshed with fun gameplay. Never does it aim to be a clever wink to games of old; rather, it wows you with its aesthetics. Despite it being a fresher take on the genre, Bloodstained has its core mechanics set up just as they were in the days of old. Switching between the different kinds of attacks felt smooth, especially when dealing with some of the much bigger baddies you'll face in the game. Collecting power for Miriam's crystals is also fairly easy to do, as fallen enemies and lighted areas usually come equipped with just the right amount of juice to keep your fight going onward. There's also a fine level of challenge to be discovered in Miriam's quest. Battling enemies with just your whip does take a good chunk of time to accomplish. Hence why it's best to use your other skills to defeat them when you can. Although smaller villains can be dealt with a crack of her whip, the bigger ones will require more of one's magic to get the job done. Performing these attacks while evading enemy hits is also challenging, but never reaches truly frustrating levels. 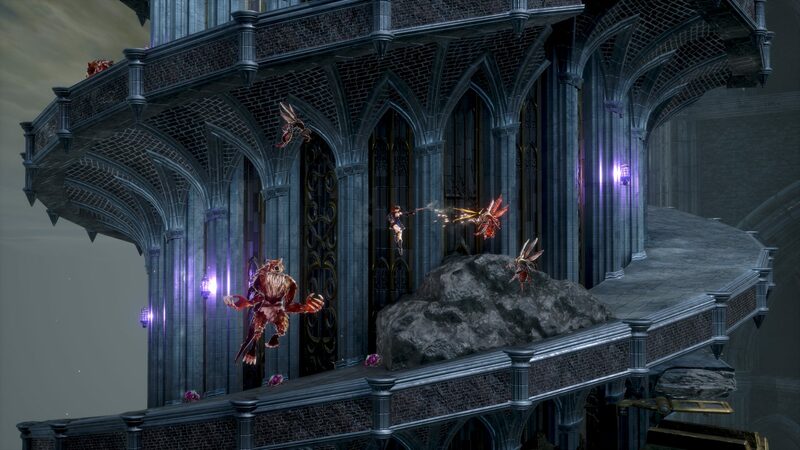 Thus far, Bloodstained: Ritual of the Night is gearing up to be one Hell of a good Metroidvania. Although my time with the game was a mere twenty minutes, it gave me a good sense of what I can expect on the much-longer journey that's ahead. Bloodstained is due out later this year on PC and consoles, and no amount of garlic or sharpened crucifixes is going to keep the evil from running (and flying) amuck when it's time for it to be unleashed!